The Office of Community and Government Relations is the primary liaison between University of San Diego and adjacent neighbors, the regional community, elected officials and education associations. As an integral division of University Communications, we disseminate information about university events and activities while building civic partnerships and promoting the campus and its facilities as a community resource. The Office of Community and Government Relations is the principal advocate for USD, and comprehensively represents the interests of the university with all levels of government on the municipal, county, state and federal levels. As curators of the University of San Diego's web presence, Digital Communications and Institutional Marketing (DCIM) oversees content development for the University of San Diego homepage, the USD News Center and the university's official social media platforms. In addition, we work with Information Technology Services (ITS) to make sure integrated online communications are developed throughout the university. Providing updated and accurate information on the USD website is extremely important. Please contact us if you have any questions regarding how you can best use your website to communicate your message. USD News Center: We cover USD news and events through stories and photo/video content. Torero Weekly: Torero Weekly is a campus-wide email digest of the week's announcements and upcoming events sent every Monday during the academic year. Social Media and Blogs: We maintain a list of all USD-affiliated social media pages and blogs. If you have a page that you'd like to see represented here, contact us. Social Media Guidelines: A reference document for beginning a social media presence for departments and how to best engage with other posters and groups. 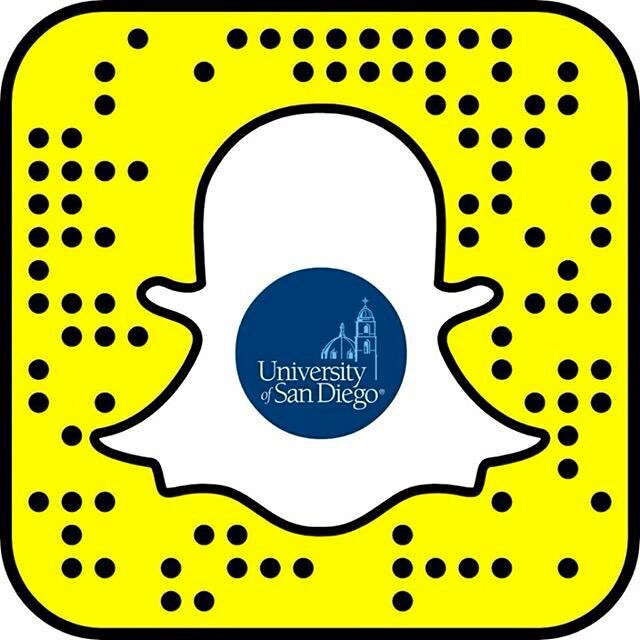 Facebook, Twitter, Instagram, Snapchat and LinkedIn: We manage and maintain the official University of San Diego social media pages. Please contact us for more information, or if you have a news or event item that would benefit from posting on one of these social media sites. MyPostings: Use this online system for promoting your news and events to various portions of the USD website, including the USD homepage, USD News and Events, and departmental or school websites. In addition, this is a great way to let us know of your notable news and events so that we can assist in getting the word out to other portions of the website and media. USD Marketing Channels: An online resource to help determine what university marketing and communication channels can help promote your event. USD Gallery: An online database of high-resolution photos is available for the campus community to use on websites or in printed material. Those with a USD username are able to sign up for access to download photos. USD Flickr: An alternative gallery of USD photos contributed by various departments. Please note these may not always be high resolution. Video: USD posts videos on a variety of platforms. The main public platform is the official USD channel on YouTube. Videos are also posted on the Ensemble video platform (primarily for academic purposes). Communication Style Guidelines: For immediate questions, please refer to USD's Visual Identity at a Glance booklet or email publications@sandiego.edu. Information Technology Services (ITS): Contact ITS for any technical support or help for your website. You can also reach the team by email at dcim@sandiego.edu. The Media Communications department offers a variety of services for members of the media. We can connect you with our stellar faculty, assist news crews with filming and photography on campus and offer a wealth of information about the University of San Diego. Media Communications staff can assist you in finding potential experts within the USD community and arrange interviews with faculty, staff and students. Our experts are available to comment on topics ranging from environmental degradation to economics to border issues. See our list of featured USD experts. USD experts are regularly quoted in the media. See the latest appearances on USD in the News. Learn more about a variety of publications written by USD Faculty. For details about the university, check out our 2018 Fact Book. For those who wish to film on campus, you must obtain permission from the Office of University Communications before entering campus. The Office of University Publications provides editorial and design services and guidance for clients across campus. Among the projects this office produces are USD Magazine, admissions and career development materials, the annual USD Fact Book, the bi-annual Fine Arts Calendar and many other print and online pieces. All projects start by filling out a project request. Story ideas for USD Magazine — which is printed three times a year — are welcome from anyone in the university community. Requests for input are solicited in the magazine itself; from the schools, their deans, faculty and directors of development; from top administrators such as the president, vice presidents and provost; and from within the division of University Relations. USD Magazine also has an editorial advisory board of alumni, parent, faculty and staff volunteers who provide editorial guidance and feedback.